The young woman pulled her Subaru wagon into the parking lot of a Framingham hotel Wednesday night for a prearranged meeting with someone she knew only as Kool Guy, a man with short black hair and glasses who resembled actor Joaquin Phoenix. She handed him $250 cash for an ounce of marijuana dubbed Blue Cheese. He threw in four free samples — chocolate and caramel candies laced with THC, the ingredient responsible for the drug’s high. “The first time we met, I was nervous,” said the 31-year-old woman named Janeen, who found Kool Guy through a website that matches medical marijuana patients nationwide with “caregivers” in their area who supply cannabis that they have grown or bought from others. Now, making her fourth purchase to help with severe migraines, Janeen felt comfortable enough to bring along the 97-year-old woman she cares for. Kool Guy is part of a booming cottage industry of self-described caregivers who have jumped in to meet the demand created by the state’s year-and-a-half-old medical marijuana law. While Massachusetts health officials have been preoccupied with vetting and licensing storefront dispensaries, these entrepreneurs are hawking products with names such as Jack the Ripper and Sour Diesel on the Internet. They operate in a legal gray area, with no regulation or oversight. Bill Downing, a longtime activist for legalizing marijuana who is from Reading, said his company, Yankee Care Givers, delivers medicinal cannabis products grown by “old hippies” to about 940 patients throughout Massachusetts who order from the company’s website. His prices range from $320 an ounce for strains of marijuana called Green Crack, Sweet Tooth, and Blueberry Cannabis Flowers to $7 for another, edible variety, Green Karma Happy Taffy Lollies. The caregivers and patients such as Janeen, who asked to be identified by only her first name, said that they’ are following the law and state health regulations. The rules allow patients with doctor-provided certificates to grow marijuana or have a caregiver cultivate it or obtain it for them — up to 10 ounces for a 60-day supply. Caregivers are limited to supplying just one patient at a time, but caregivers, patients, and even some police officials say the rules are unclear and open to interpretation. The state Department of Public Health issued guidelines for law enforcement in March, but Reading Police Chief James Cormier said they leave many questions unanswered. The state health agency is aware of the flourishing trade, but has apparently done nothing to stop it. Karen van Unen, director of the department’s medical marijuana program, declined to be interviewed, and did not answer questions submitted through a spokesman about whether the proliferation of online caregivers serving multiple customers violates state regulations. Since voters legalized medical marijuana in November 2012, the state has granted preliminary approval for 20 dispensaries, but has delayed licensing them amid revelations that some of the companies made misrepresentations on their applications that the state failed to uncover before selecting them. Many patients have meanwhile received certificates from physicians allowing them to obtain marijuana for an array of conditions. 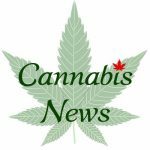 But with dispensaries not expected to open until the fall at the earliest, they have turned to the Internet, where sites such as marijuana-caregiver.com provide a list of eager suppliers. Patients and caregivers find each other through forums on the website and then arrange purchases through e-mail, private messaging, texting, and phone calls. The site includes patients’ ratings of caregivers, and frequent posts about upcoming deliveries around Massachusetts. “We are caregivers and patients on Cape Cod looking to help other patients in need,” read one post. Caregivers registered on the site say patients must provide a copy of their doctor’s certificate and identification before they will sell them marijuana. Some refer to their prices as a “donation,” in an apparent effort to comply with state regulations that prohibit caregivers from making a profit on marijuana. Many of the caregivers have their own doctors’ certificate that allows them to legally carry up to 10 ounces of marijuana in Massachusetts. “I don’t think I’m breaking the law,” said Kool Guy, who spoke on the condition he not be named for fear of legal problems and because he wants to maintain his privacy. Kool Guy said he grows a small amount of marijuana and has to buy from other caregivers to meet the demand of about 20 patients. He said he delivers to department store parking lots and million-dollar houses in Boston’s most affluent suburbs, depending on what the patient prefers. “I feel bad for these people,” said Kool Guy, who described his patients as mostly middle-aged and suffering from various ailments, including cancer, AIDS, Parkinson’s disease, chronic pain, and anxiety. Another caregiver who posts on the website said he is part of a cooperative composed of a small group of military veterans who grow marijuana for their medical needs and deliver any surplus to other patients. “We started out as patients and it wasn’t available, or what was available was steeply overpriced or black market,” he said, adding that he works a full-time construction job and only takes “donations” from other patients to offset the cost of cultivation. “You are not doing it for profit, you are doing it to help people,” he said. Tom Brandes of Phoenix, the administrator of marijuana-caregiver.com, said he launched the site a couple of years ago when medical cannabis became legal in Arizona, then expanded to other states. Brandes said he doesn’t charge patients or caregivers to register and post messages. The site does not conduct background checks and it is up to patients and caregivers to vet each other and follow the law, he said. “I’m not going to try to police it; I can’t,” said Brandes, adding that he can’t keep drug dealers from trying to infiltrate the site, but enlists moderators to monitor activity. Downing, 55, the owner of Yankee Care Givers, said during a telephone interview that he is different from other caregivers on the Internet. Downing said the Department of Public Health is aware of his business because he sends it a form signed by each of his patients, designating him as their caregiver. He said it is unclear what the department does with the forms since the state has yet to create the planned registration system for patients and caregivers. Downing, the father of two teenaged boys, said his company is nonprofit and he was growing marijuana at his home until police warned him last month that they suspected he was going to be robbed and that he was endangering his family. He said police told him they believed his business was illegal, but did not arrest him. Cormier, the Reading chief, said he thinks Downing is breaking the law and has repeatedly asked the Department of Public Health over the last two months for a written opinion on whether he is. Cormier said his department received numerous complaints from neighbors about Downing’s brisk business and he remains under investigation. Not everybody finds caregivers online. Scott Murphy, a 31-year-old Iraq veteran and father of three young children, said he started using marijuana about two years ago to ease the pain of his degenerative arthritis. Murphy buys tincture, a marijuana-infused oil, from a caregiver he met at a gathering of marijuana advocates. The caregiver process is far better than buying it off the street, he said, because it’s cheaper and his caregiver sells only products that have been lab-tested. “My caregiver switched to a delivery service that can meet you wherever it’s convenient for you, whether it be your house or another location,” said Murphy, a Newton resident who is completing his undergraduate degree, applying to law school, and running a nonprofit that promotes veterans’ health issues. Matthew Allen, executive director of the Massachusetts Patient Advocacy Alliance, said he gets calls daily from patients who are seeking a medical marijuana caregiver, but his organization is unable to help them because it does not have a system to ensure the services that are springing up are reliable and comply with state law. The alliance is lobbying to change the state regulation restricting caregivers to one patient, and wants to adopt the rules in Rhode Island and Maine, which allow five patients per caregiver.